Original Gary Conway pilot's uniform from Land of the Giants. 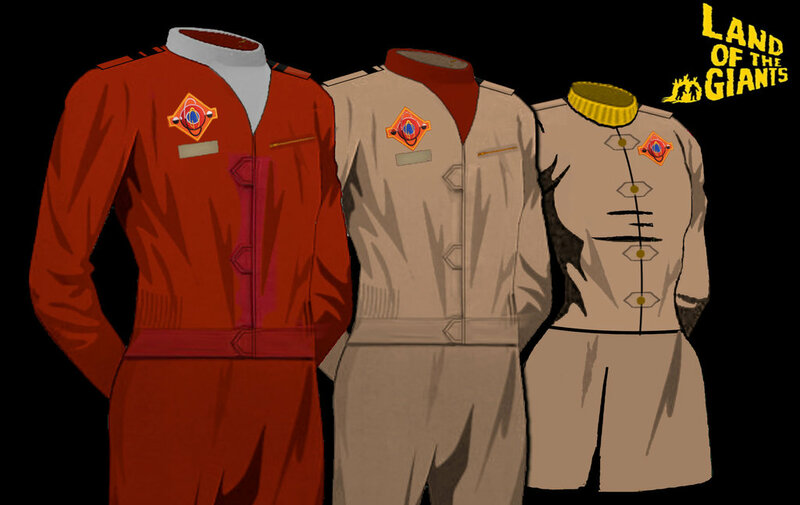 (ABC-TV, 1968-70) Two-piece cherry red pilot's uniform consisting of a custom-tailored jacket complete with captain's epaulettes (removed), embroidered Spindrift Shuttle Craft emblem and red satin lining, accompanied with a matching pair of custom-tailored pants. Worn by actor Gary Conway as the daring captain of the Spindrift in this classic Irwin Allen television series.